Ms. Wallace has been a director since 2003. Ms. Wallace has served as Lead Independent Director since August 15, 2013, and as Chairman of the Board since September 28, 2017. She had 24 years’ experience as Chief Executive Officer of Cooper-Atkins Corporation, a manufacturer of temperature acquisition instruments prior to its new ownership (Emerson Electric) on January 8, 2018. She is also a director of Sandstone Group, LLC, Milwaukee, WI. Ms. Wallace served as a Board member of Middlesex Hospital, Middletown, CT until February 2, 2018. She also served as a director of Zygo Corporation, Middlefield, CT until June 30, 2014. Ms. Wallace's years of experience as Chief Executive Officer of a manufacturing firm with global sales gives her skills in executive leadership, including financial management, business strategy, financial accounting, and customer and employee satisfaction. Ms. Wallace received a B.A. in Biology from Middlebury College. Mr. Benoit, age 61, is the President and Chief Executive Officer of the Company since March 6, 2018. Mr. Benoit previously served as the Company’s Interim President and Chief Executive Officer since September 2017 and as the Company’s Senior Vice President, Chief Financial Officer and Treasurer since 1996. Mr. Benoit held positions at Northeast Utilities and Yankee Gas prior to joining the Company in April 1996. He is a graduate of Central Connecticut State University and has a MBA from the University of Hartford. He is also a Certified Public Accountant. Mr. Benoit has 33 years of experience in the regulated utility industry. Mr. Forde has been a director since October 2013. He brings financial and leadership experience to the Company's Board. Prior to his retirement in 2012, his career at Cigna Corporation spanned 35 years with the last eight years as Senior Vice President and Chief Investment Officer. He was responsible for the performance of more than $23 billion in corporate portfolio and defined pension plan assets and oversaw Cigna Corporation's 401(k) plan. In December 2017, he became a Trustee of the Allianz Variable Products Trust and serves on the Trust’s Audit Committee. Mr. Forde received a B.A. in Economics from Bates College, before receiving an MBA in Finance, Accounting and Management Policy from Northwestern University. He recently served five years on the Board of Bates College. Ms. Hanley has been a director since 1999. She has served as Assistant to the President of St. Francis Hospital and Medical Center, part of Trinity Health New England, as Director of the Valencia Society, the endowment fund for the hospital and as liaison for government and community alliances. From January 1995 to February 1998 she was Legal Counsel to the Governor's Office, State of Connecticut and then served as Director of the State's Office for Workforce Competitiveness from 1999 - 2010. Ms. Hanley’s 15 plus years of direct interaction with the Connecticut General Assembly, executive branch agencies and the state's Congressional delegation gives her expertise on the inner workings of both the state and federal governments. Ms. Hanley received a B.A. from UCONN, Trinity College and a Master’s in Public Policy from UCONN School of Law. 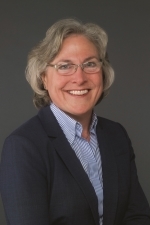 She currently serves as the Chair of the Board of Oak Hill School, the largest private non-profit provider of services for people with disabilities in Connecticut. Ms. Hunt has been a director since 2006. She serves as an Executive Director of the New England States Committee on Electricity since January 2009. From October 2003 through December 2008 she was an attorney and had a regulatory law practice in Connecticut. From 2001 to 2003, Ms. Hunt was Director of State and Local Government Affairs at United Technologies Corporation and before that she was with the Southern Connecticut Gas Company in regulatory and public policy capacities, ultimately serving as Vice President. Ms. Hunt served as a Commissioner of the Maine Public Utility Commission from October 1995 through May 1998 and as a Commissioner of the Connecticut Department of Public Utility Control from October 1993 through July 1995. Ms. Hunt is also the founder and president of Live On Organ Donation, Inc., a non-profit. Ms. Hunt is serving a two-year term on the Living Donor Committee of the United Network for Organ Sharing, the non-profit organization that manages the nation's organ transplant system under contract with the federal government. Ms. Hunt received a B.A. in Politics from Fairfield University, before receiving a JD from Western New England College School of Law. Mr. Hunter has been a director since 2015. He was Chief Financial Officer of Dead River Company, the largest residential distributor of heating oil and propane in northern New England, from 2007 until his retirement in 2013. Previously, Mr. Hunter spent 26 years in commercial banking where he last served as Chairman and CEO of Bank of America, Maine and its predecessor, Fleet Bank of Maine. Mr. Hunter currently serves as a director of Geiger, Inc. the largest privately held distributor of promotional products in the United States. He also currently serves as a Trustee of Bowdoin College and was formerly a Trustee of Maine Medical Center. Mr. Hunter received a B.A. from Bowdoin College. Ms. Johnson, age 52, is the Vice President of Human Resources and Corporate Secretary of the Company. Ms. Johnson has served as the Vice President of Human Resources since joining the Company in 2007 and was named as the Company’s Corporate Secretary in August 2010. Prior to joining the Company, Ms. Johnson served as Senior Vice President, Human Resources and Organizational Development Officer at Rockville Financial, Inc. from 1996 to 2007. She is a director of United Financial Bancorp, Inc. and its predecessor company since 2010, serving as the Chairman of the Compensation Committee since 2011 and also as a member of the Governance and Executive Committees. Ms. Johnson received a Bachelor of Arts degree from Elms College and earned a Master’s degree from American International College in Human Resources Development. She is also a Certified Compensation Professional. Ms. Thibdaue has been a director since 2000. She was named the Vice President, Rates, Regulatory Affairs and Compliance at Northeast Utilities in January 1998 and served as Vice President, Regulatory Affairs from 2005 until her retirement in 2013. From 1996 to 1997, she was Executive Director, Rates and Regulatory Affairs at Consumers Energy, a natural gas and electric utility located in Michigan. Ms. Thibdaue served on various American Gas Association and Edison Electric Institute Committees. She is also the past Chairman of the Advisory Board of Michigan State University Institute of Public Utilities. She received a B.A. from James Madison College, Michigan State University. Ms. Wolf has been a director since 2015. Ms. Wolf served as Senior Vice President and Chief Financial Officer of American Water Works Company, Inc., the largest investor owned U.S. water and wastewater company, from 2006 until her retirement in May 2013. Previously, Ms. Wolf served as Senior Vice President and Chief Financial Officer of Centrus Energy (formerly USEC, Inc.) from 2003 until 2006 and as Vice President and Chief Financial Officer of American Water Works from 1999 to 2003. From 2008 to 2016, Ms. Wolf served as a director of Airgas, Inc., and since 2013 has served as a director of Premier, Inc. and InfraREIT, LLC. Ms. Wolf also currently serves as Vice Chair on the Board of The Philadelphia Zoo. She received a B.A. from Duke University and an MBA from University of Pennsylvania, The Wharton Graduate School. The Secretary will pass to the Director a written, e-mail, or phone communication. The Corporate Secretary has been authorized by the Board to screen frivolous or unlawful communications or commercial advertisements.